The oldest ship in P&O Australia’s five-strong fleet, Pacific Pearl, has become the latest vessel to be called into dry dock for a multi-million dollar style, entertainment and on-board features upgrade. Pacific Pearl is currently receiving the long-awaited revamp at a dry dock in Sydney harbour; P&O has stated that the ship should be completed and ready to sail no later than 15th August 2015. Among the new features reportedly added to Pacific Pearl is the P&O Edge Adventure Park – an adrenaline pumping adventure park featuring no fewer than fifteen attractions, including a surfboard simulator, bungy tramp, flying fox and the imposing walk the plank. The P&O Edge Adventure Park made its debut aboard Pacific Jewel after a recent refit, and has since proved extremely popular with passengers. P&O bosses hope the inclusion of the Edge Adventure Park aboard Pacific Pearl will be equally well received by cruise guests. Other features added to Pacific Pearl during the multi-million dollar refurbishment include a PANDORA jewellery outlet, where passengers can purchase a range of sought-after jewellery and watches, as well as a duelling pianos entertainment exhibit in The Orient bar. The ship’s style and décor has also been completely refreshed, with a range of contemporary furnishings added and over 17,000 square feet of new carpet fitted throughout the ship. This makeover extends to public areas such as the Atrium, Luna restaurant and Mix bar, as well as private guest cabins. Pacific Pearl’s renovation is a timely one; discussing the refurbishment further, Myrmell confirmed that the refit was timed to co-inside with the imminent launch of P&O’s latest ships, Pacific Aria and Pacific Eden, which are due to be released this November. 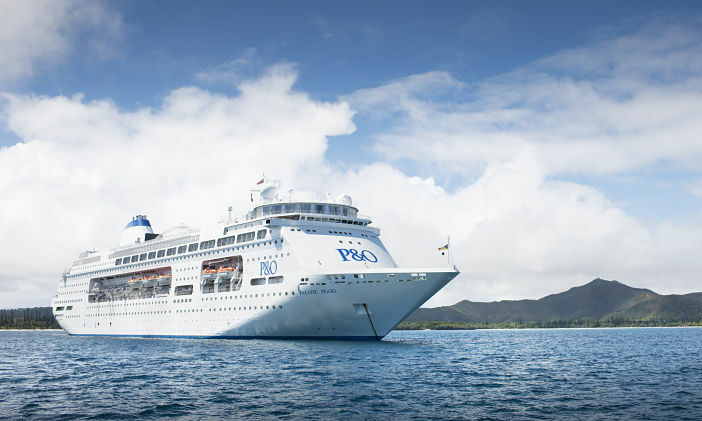 Upon its re-launch, Pacific Pearl will continue offering cruises to the Pacific Islands from its homeport of Sydney. Images sourced via P&O Cruises and Flickr Creative Commons. Credit: P&O Cruises and Michael Bentley.